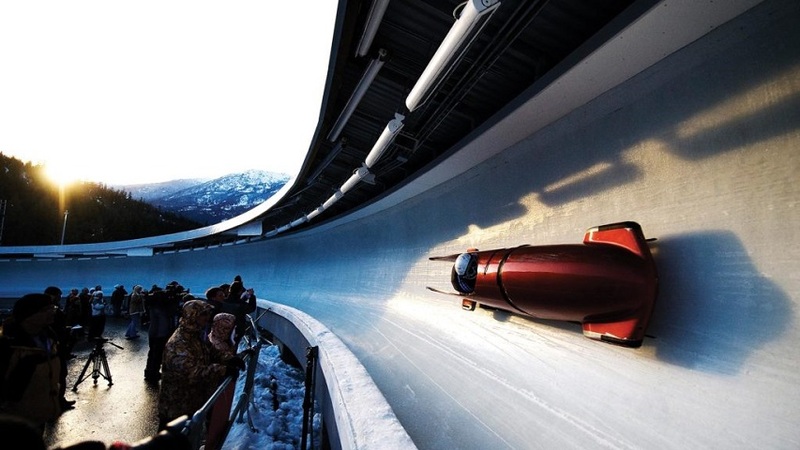 The Bobsleigh is a fascinating winter sport that makes use of a gravity to move a sleigh through the race course, twisting and turning through a narrow, banked ice track. The time taken to complete the race is used to calculate the final score. The game is often referred to as Bobsled, Bob or King’s Class and it was first played in the 1870s. 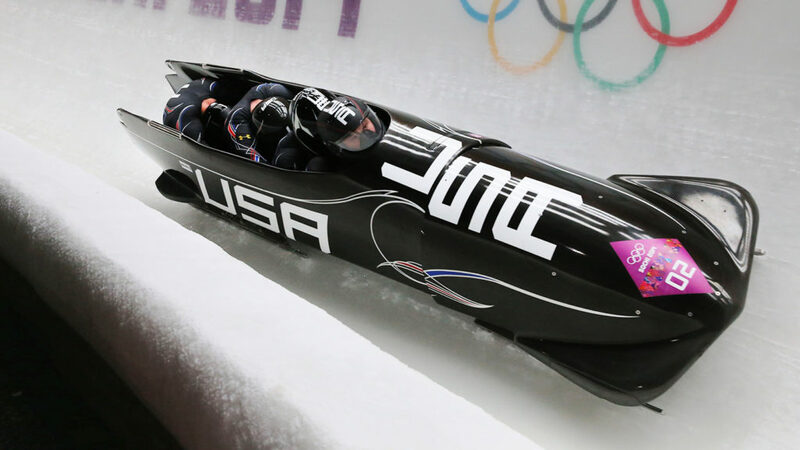 The name Bobsleigh originates from the habit of early participant to move back and forth inside their sleds, called bobbing, in an attempt to make the sled go faster. This sport is a team game, involving 2 or 4 members and requires a sleigh, helmet for all participants and Bobsleigh tracks. The sleigh has two metal rings on either side, that helps the pilot to steer the vehicle. By pulling the ring on the left, the momentum of the sleigh can be shifted to the left and similarly, the sleigh can be steered to the right as per the requirements of the track. There are a set of brake pads fitted in the sleigh, which the brakeman uses to lower the speed of the sleigh during turns or to bring the sleigh to a stop at the end of the race. Bobsleigh is governed by the International Bobsleigh and Skeleton Federation, also known as FIBT, which organizes and presides over international Bobsleigh competitions. The FIBT was founded in 1923. Bobsleigh has been a part of Winter Olympics since 1924, where it was introduced as the 4 man event. The 2 man event was introduced in 1932. Women’s two-person Bobsleigh was introduced in the Olympics in 2002. The world record speed attained in a Bobsleigh is 201Km/h and 150Km/h speeds are regularly reached during the game. As such, Bobsleigh is an extremely dangerous sport, which has cause several fatal accidents so far. Athletes have to wear Helmets, Eye goggles, Uniforms, Spike Shoes to participate in the event. In addition, brakemen have to wear Kevlar Vests to prevent friction burns. Caspar Badrutt, a Swiss hotelier, is credited with laying the foundations of Bobsleigh as a modern sport. Caspar’s main motive was to entice tourists to spend the entire winter season at his hotel in St. Moritz, Switzerland. He was the first to lay down the basis of winter resorting, by improvising and brainstorming to change the habits of his regular English clients, who would previously only stay during the summer months at his hotel. Pretty soon, his concept had become hugely popular among British tourists, but owing to the sudden rush of tourists, alternative recreational activities were sought. The sleds used by the local delivery boys were adapted by few English tourists to start a race, but it caused a ruckus among the pedestrians on the busy roads. 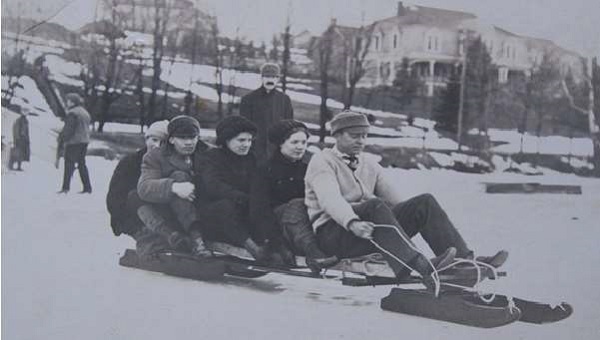 The sleds were soon fitted with steering wheels to enable better control, forming the first Bobsleigh, however this increased the length of the runs through the city and the speed of the movement of the sleds, causing severe complaints. As a solution to suit all parties, Badrutt created the first Bobsleigh track in the 1870s, managing to keep the bobsleigh off the city lanes, all the while also ensuring that his customers were entertained. The first competitions began in St. Moritz in 1884, down the natural Cresta Run, built by tourists and locals together and it has hosted the 1928 and the 1948 Olympic games. In case of two man Bobsleigh, there are two members of the team, a driver and a brakeman. In four man Bobsleigh, there is a driver, two push athletes and a brakeman. The Olympic events are held over two days, where each team completes four runs in total. The fastest aggregate time determines the final ranking. 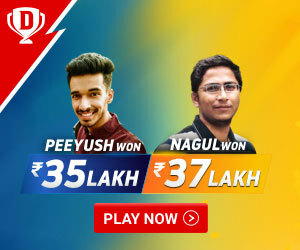 If at the end of the race, two teams have the same timings, they are both awarded the same rank. Bobsleigh races are timed to the hundredth of a second and the time is recorded electronically. The minimum weight allowed in two man Bobsleigh is 170Kg, the maximum weight allowed is 390 Kg. For 4 man Bobsleigh, the minimum weight is 210 Kg, the maximum is 630Kg. For women, the minimum is 165 Kg and maximum is 325 Kg. Substitution is allowed for push athletes in case of injury or illness, but pilots cannot be substituted. To complete the race, all participants must cross the finishing line with the sled. If the participants lose the sled or the sled crashes and is unable to complete the race, it is disqualified. 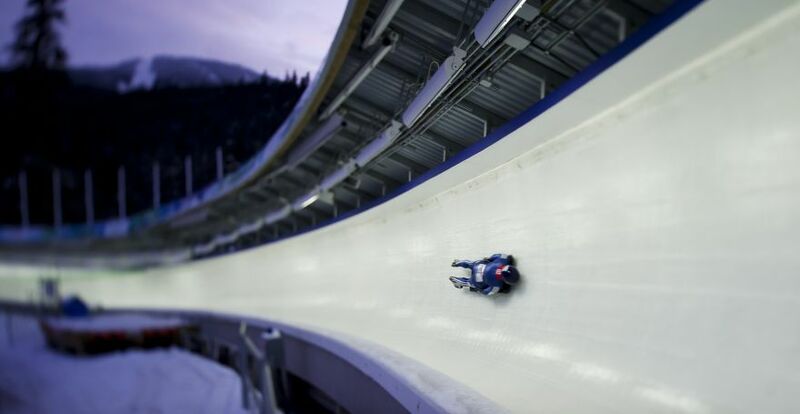 In order to prevent injuries, Bobsleigh tracks have to adhere to strict tack design regulations implemented by governing bodies. The track must have a downward slope and must drop from 110 to 125 meters to enable gravity to pull the sleigh. Bobsleigh is a sport that has considerable safety issues, so before starting out, one must ascertain that all the safety requirements of the game are met. It is necessary to have an aerodynamically correct sleigh, all the necessary personal protective equipment and emergency response kits and fist aids in place before starting out. Since the sleighs are driven by gravitational force, 4 man sleighs attain higher speeds than 2 man sleighs and this must be considered before practicing. Choosing the track is vital as an unsafe and unqualified track can cause severe accidents. It is absolutely pivotal to practice Bobsleighing only on a certified track that has been approved by a governing body. There is no engine attached to the sleigh, so it is necessary to push it to start the race. The starting area of the track is wide enough to aid in pushing the sleigh to gather momentum. For this, the participants, in case of 2 man Bobsleigh or the push athletes, in case of 4 man Bobsleigh, push the sleigh through the starting area and have to jump in once the required momentum is gathered. It is important to master the art of boarding the sleigh at speed, because there is a risk associated with it. For this, one can practice pushing and boarding on a flat track, until a certain degree of confidence and accuracy has been attained. The brakeman should be the last to board the sleigh for a two man Bobsleigh. The quality and strength of the initial push goes a long way to determine the speed attained by the sleigh and also affects the timings of the run. As such, getting a strong start is extremely important. For this, it is necessary to build body strength and stamina. Bobsleigh is a team game and a vital part of maneuvering the sleigh is working as a team. Even though the pilot is in charge of steering, all participants must shift their weight as per the requirement of the track and this is something that can only bettered by practice. Also, braking during turns is crucial to keep control of the sleigh and to successfully guide the team through the track, so the brakeman must practice his controls to perfect those turns. Bobsleigh is a fun game and if the safety measures are met, can be extremely enjoyable.